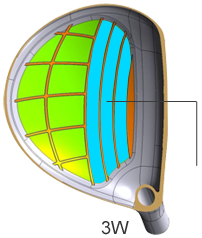 Player who would like to reduce slice for longer distance. 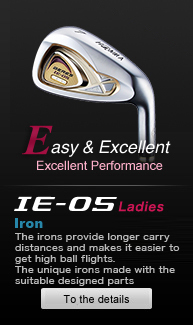 Player who would like to gain distance with flexibility of the club(Shaft). For the player who wants to get a ball easily even late swing. Player who always would like to hit the ball into fairway. All parts developed for the highest performance. Accomplished further evolution, BERES Ladies. The internal rib mechanism of the crown securely receives the impact from balls and maximizes the stress, achieving a longer carry distance. 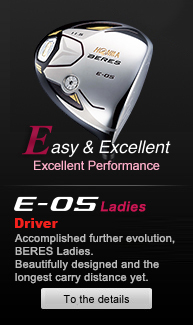 The center-of-gravity design focused on how easily the trajectory is increased. 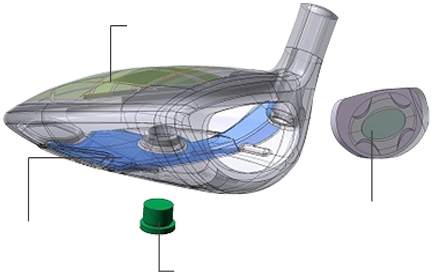 The load method that meets the needs for each club is adopted. 3W easily grips and lifts the ball; 5W moderately grips the ball; and 7W is focused on the control and spin performance. 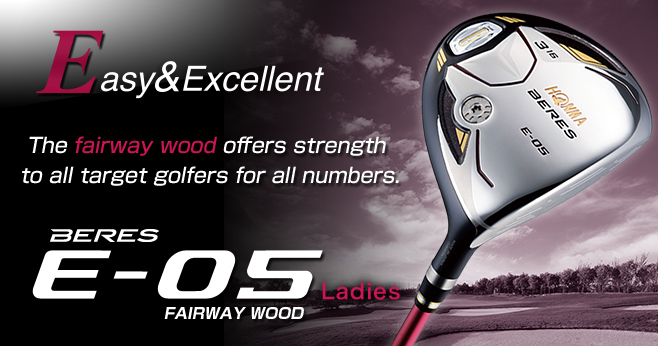 These meet the needs for each club and become powerful weapons for the golfers. 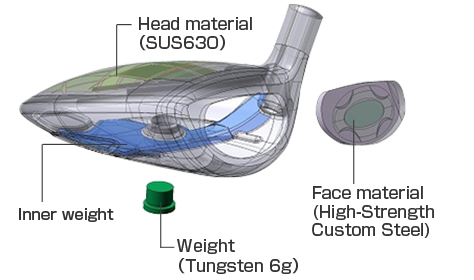 Optimum center-of-gravity design with the excess weight obtained by a thinner crown. 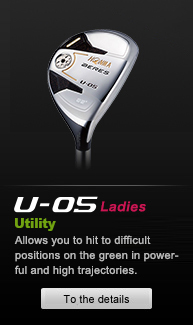 The thinner crown provides an excess weight of 2 g, allowing a higher trajectory with a low center-of-gravity. 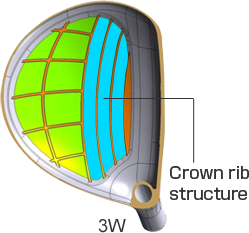 3W easily grips and lifts the ball; 5W moderately grips the ball; and 7W is focused on the control and spin performance.